I’ve been researching Gen Z and observing my son, his peers and others in this generation wanting to know if they will have as strong of an impact on the retail industry as predicted. In this two-part Insight, I’ll share the research I’ve collected, as well as my thoughts on Gen Z as retail consumers. Just over a year ago, our firm had an open house celebrating the opening of our new Seattle headquarters. During this event, my husband and then eight-year-old son were with me in one of the office event spaces. The space is where we have all-staff meetings and it’s equipped with a large four-screen display for presentations. I was chatting with a few co-workers, facing away from the screens, when I see looks of shock on their faces. I turn to see my son, Will, and a co-worker’s daughter (also eight) fooling around with the keyboard that operates the screens. I tell Will to leave it alone and go do something else. This equipment was very expensive! I remember him telling me that he was “just trying to connect to Google.” I turn to continue my conversation and someone told me not to worry, the system was password protected. I then see looks of outright disbelief on the faces of those I was speaking with, looking behind me at the screens yet again. I turned around to see images of our various conference rooms displayed on the screens. The kids had hacked into the system and connected to our video conference technology. After insisting they leave the equipment alone for good this time, I remembered thinking, “what is with kids these days? And why are they so fearless with technology? !” It had to be a generational thing. Welcome to Gen Z. These individuals are between the ages of six and 21, born between the years 1995 and 2010. According to the U.S. Census Bureau, Gen Z currently makes up just over 25 percent of the U.S. population and is slated to surpass their Millennial predecessors in population in the next few years. After that day, I became interested in learning more about this generation – not just for personal reasons (to understand why my son can frustrate the heck out of me sometimes), but for professional reasons as well. As we’ve all witnessed, Millennials have made a tremendous impact on the retail industry – forcing many previously strong retailers to close their doors and forcing others to completely change the way they do business. I’ve been researching Gen Z and observing my son, his peers and others in this generation ever since – wanting to know if this generation will have as strong of an impact on the retail industry as predicted. In this two-part Insight, I’ll share the research I’ve collected, as well as my thoughts on Gen Z as retail consumers. It’s important to first understand the core characteristics of this generation: why they are the way they are, how they think and what’s most important to them, in order to make substantiated predictions on their influence to the retail industry. My son, Will, and all his tech! The parents of Gen Z are primarily Gen X. Those in Gen X were the hardest hit during the Great Recession . Unlike Millennials, which saw economic prosperity in the U.S. throughout their childhood and early adulthood, Gen Z witnessed their parents lose their jobs, saw their homes foreclosed, saw their parents use their 401K retirements just to make ends meet, and often had to relocate to other towns or parts of the country to find new jobs . They saw their Millennial siblings move back home after college graduation, unable to find work and a stable income. They overheard very difficult conversations at home about finances and were sometimes part of those conversations, even at a young age. They witnessed their parents and family members lose jobs after many years of loyal service to companies and corporations. Harsh reality was an everyday occurrence for this generation – unfiltered, real, raw, unforgiving and unaccommodating. But these harsh realities garnered some positive and powerful characteristics for this generation. After having their lives turned upside down over national economic instability (events that were out of their parents’ control), this generation wants to be prepared and wants to plan for their success much earlier in life. Either consciously or subconsciously, this generation doesn’t want the same circumstances to happen to them. They saw their millennial siblings unable to secure jobs after the Great Recession and they saw their parents’ success uprooted. They are ultra-aware of the events happening around them and have a high level of curiosity to understand their meaning. Their focus on success is important, even at a young age. But they want to achieve this success on their own. Gen X as parents are not being defined as “helicopter parents,” as Baby Boomer parents were to their Millennial children. Rather Gen X parents are becoming “lawnmower parents” – smoothing the way for their Gen Z children to reach the success they seek to achieve . Gen Z is the “can do” generation. They have high expectations – not of society necessarily, but of themselves. Their drive for success earlier in life has made them entrepreneurial prodigies. Gen Z is a mature generation, no matter their age. Because they were most likely involved in those very difficult, adult conversations about finances, opportunities and the future – they inherited a pragmatism from their parents . Because they are curious and expect to be informed about important decisions within their household, they’ve become resourceful, efficient, impatient, resilient, realists and frugal. Gen Z doesn’t know a world without technology. They could “pinch, zoom and swipe before they could crawl” . They have no idea a tech revolution has taken place. Averaging ten hours of tech a day, they have access to five screens at once: smartphone, iPad, TV, laptop and desktop. If left with only one device, 0 out of 10 chose to keep their TV  . This is the “always connected” generation – the internet doesn’t stop so neither do they. And if it isn’t on the internet, it does not exist. As I write this, my son, Will, is upstairs playing his PS4 game system while watching a YouTube video on his iPad simultaneously. During family dinners (at a restaurant or at home) he has to have a device in front of him. 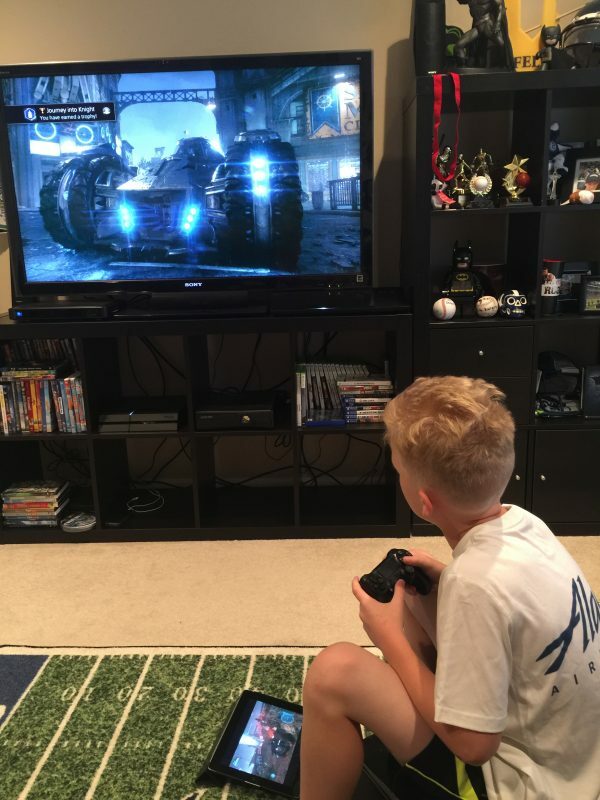 As much as we try to monitor this and focus on quality time during these moments, we have to remind ourselves this is just how he’s “wired.” I’ve caught myself on a few occasions telling Will he can’t watch his iPad and the TV at the same time – for fear of sensory overload. Only to realize I am almost always on my iPhone while watching TV, and so is my husband. Access to and watching multiple devices at once is mainstream for this generation. To them, it’s no different of an experience than reading a book while listening to music – just magnified by a thousand. I’m fascinated by the way Gen Z prefers to communicate. This group prefers to communicate via symbols or emojis in lieu of text and words. Their resourcefulness and tendency to be very efficient allows them to communicate a simple sentence using three emojis in place of 15 characters in traditional text. Emojis also nail emotional content. Long gone are the days of misinterpreting text messages and their emotional meaning. Emojis fix that. I reference “texting” because this is still one of the preferred methods of communicating for this generation. Email is our modern day “snail mail.” They prefer texting or instant messaging because it’s just that – instant. They also prefer communicating via video chat such as Snapchat or FaceTime. This generation’s need to fully understand what is being communicated to them, it’s emotional content, and the message in a short, concise way is easiest done through emojis or video. Being able to see a person’s face as they speak is important. Traditional texting and talking over the phone lacks the proper channels to understand a message’s emotional intent and opens doors to misinterpretation – something they do not have the time or patience for. It has been documented that Facebook is rapidly losing this generation . It’s largely due to the types of social media platforms Gen Z prefers to use. Because this generation prefers video content, their social media platform of preference is YouTube. Video content is less curated and more realistic. 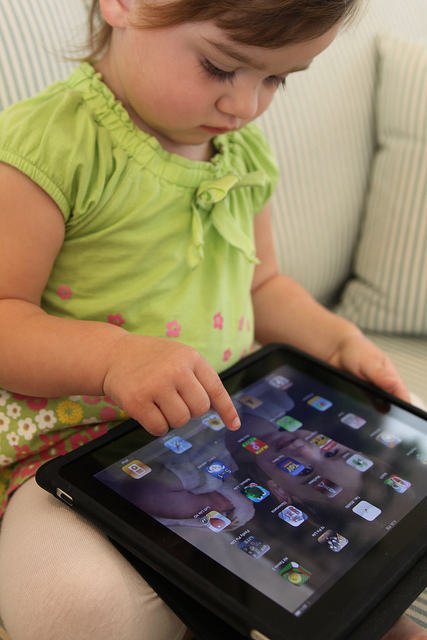 It’s being reported that Gen Z watches more videos on their mobile devices as any other previous generation. Traditional imagery and text are less appealing and far less engaging. Because this generation has a short attention span (eight seconds), they require “snackable content” – content that is quick, to the point, engaging and visually appealing – in video format . They prefer authentic messaging, hence the appeal for video content. Fake, manipulated and curated content, heavily photoshopped imagery is less accepted. They want to see video tutorials about makeup applications, they want to see someone mess up and try again. Seeing a real person (like themselves) try something new, failing, trying again and succeeding is the type of messaging that resonates with this generation. 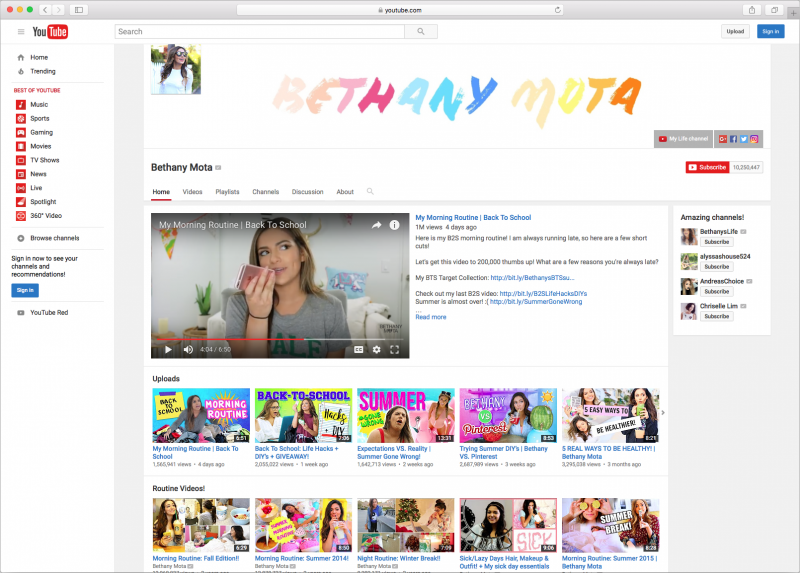 Bethany Mota is one of YouTube’s top channels. She has more than ten million subscribers to her channel and each of her videos average more than two million views. Her videos range from topics such as high school friendships to what to wear to certain events. Bethany and other YouTube channels like hers demonstrate the types of influencers of Gen Z – the “peer celebrity.” Gen Z is most influenced by their peers and younger Millennials. Gen Z uses social media as an instrument to learn, to teach and to inspire. Not as a way to showcase themselves, what they achieve, or what they ate that day. As a result, social media platforms providing avenues for Gen Z to express themselves, post videos, share knowledge and interact with their peers in a quick, concise, easy-to-navigate way will continue to be the preferred choice for online interactions. All of these characteristics will have a profound impact on the retail landscape and will force retailers to shift their business to capture and keep Gen Z as consumers. In Part II, I will share how these aspects will influence Gen Z’s retail expectations and the challenging task of achieving brand connection.